and find something positive to say to yourself on a survival level. and find something positive to say to yourself on an emotional and sexual level. and find something positive to say to yourself on a will, will power and manifesting level. and find something positive to say to yourself on a love and affinity for yourself and others level. and find something positive to say to yourself on a communication level. and find something positive to say to yourself on a psychic, creativity and healing ability level. and find something positive to say to yourself on a spiritual awareness level. Do this daily for 30 days! The Thinking and Breathing incantations in Eric Maisel’s book entitled Ten Zen Seconds: Twelve incantations for Purpose, Power and Calm are as simple as counting from one to two. Here’s how it works – First take in a deep breath. Second release a cleansing breath out. The thought is a phrase that is to be spoken out loud. The words are to broken down into two parts so that it has a rhythmic tone to it. On the out breath say … TO JOY. The idea is not to create images in your mind while doing these incantation, but to focus only on the words and the breath. 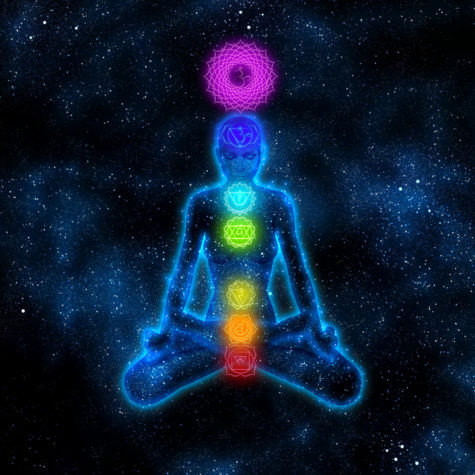 Here are some chakra-zen incantations that are intended to be used for chakra balancing. My energy … is free of blockages. My root chakra … is deeply grounded. My sacral chakra juices ,,, are creative and bold. My solar plexus … feels mellow and calm. My heart … is filled with love. My throat … speaks the truth. My third eye … intuits inner knowledge. My crown chakra … projects inspiration. 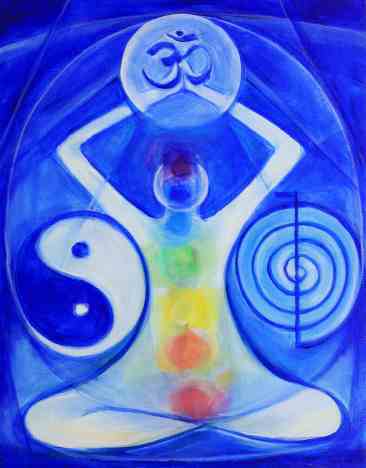 My chakras … are spinning in alignment. My aura … is colorful and clutter-free. 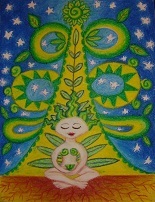 My lightbody … beams brightly. I am … centered and balanced. These can be done individually as needed, or collectively. Recommended time spent on this mantra practice is 15 to 20 minutes each day.